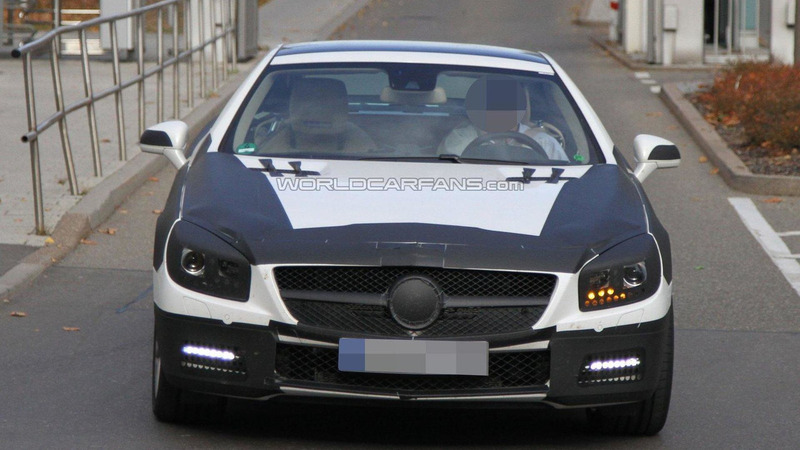 New details are starting to emerge about the 2012 Mercedes SL-Class. 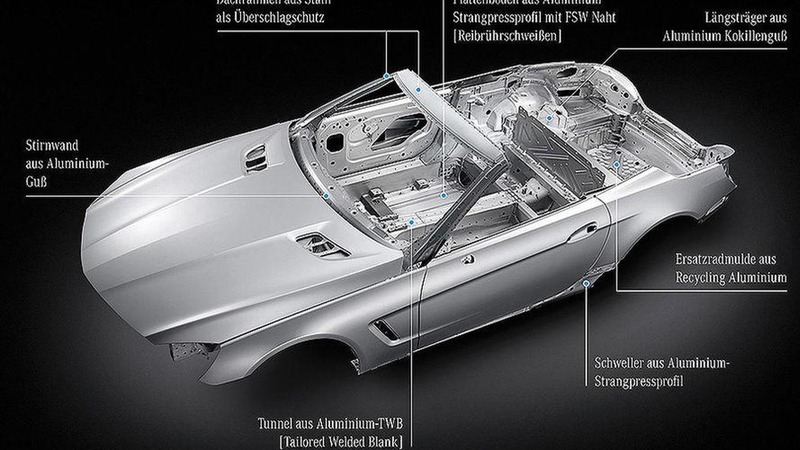 Set to debut at the North American International Auto Show, the roadster will adopt an aluminum-intensive design that enables the car to weigh up to 310 pounds (140 kilograms) less than the current model. Despite shedding weight, the SL will become 20% more rigid thanks to hydroformed beams and chilled cast longitudinal members. There's no word on engine specifications, but the aforementioned changes will help to improve fuel efficiency by 30 percent. In addition, the SL will have a new system called Magic Vision Control. It integrates the windshield washer nozzles into the wiper blades to ensure fluid won't be sprayed into the cabin when the top is down. There will also be a new Front Bass sound system which has two subwoofers mounted in the footwells for improved audio quality.